Weekends are precious to us because they mean family time. This is especially so since the start of this year where the hubby has been working really late on weekdays and we hardly see him at all from Mondays to Fridays. 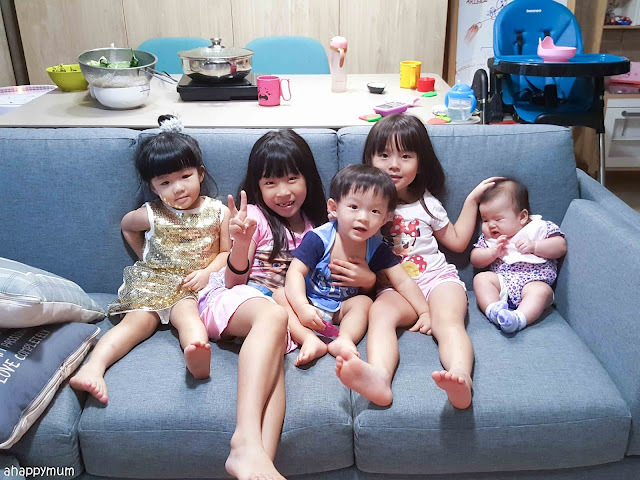 Yup, that also means I've gotten used to the notion of solo parenting, as exhausting as it may be, and I especially look forward to the weekends where we have some downtime and put aside all the thoughts of chores, work, blogging and so on. In the month of March, we managed to carve out more time to spend as a family and with a stroke of luck, the hubby was able to take leave (even though he went to office almost every day) for the one week school holidays. Though we did not go overseas for holiday (we need to scrimp and save for the new house, remember? 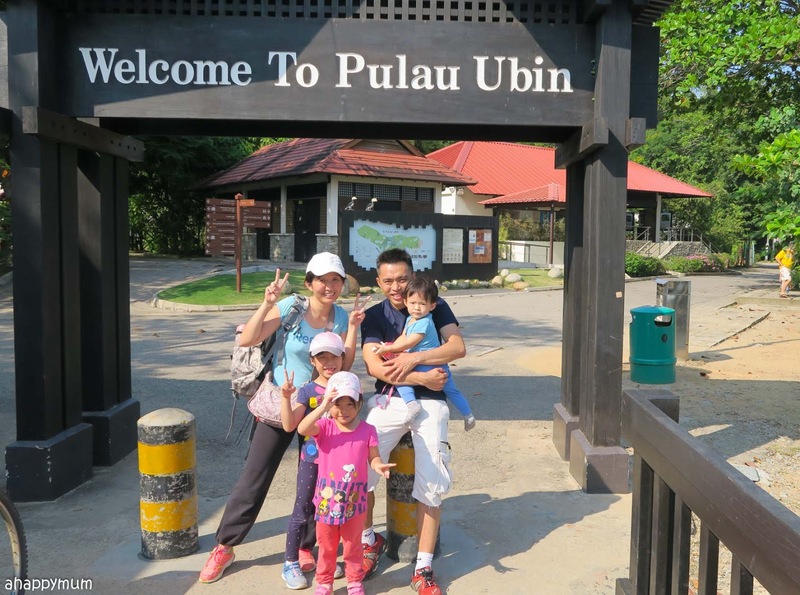 ), we did manage to go for a 5D4N chalet retreat and that, to the kids, is as good as a holiday can get. 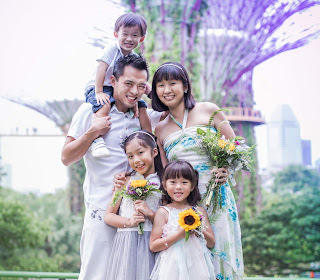 In this post of "Happiness is...", it's about enjoying a retreat, gathering with family and friends, letting go of unnecessary stress and finding joy in slowing down our pace in the hustle and bustle of everyday life. 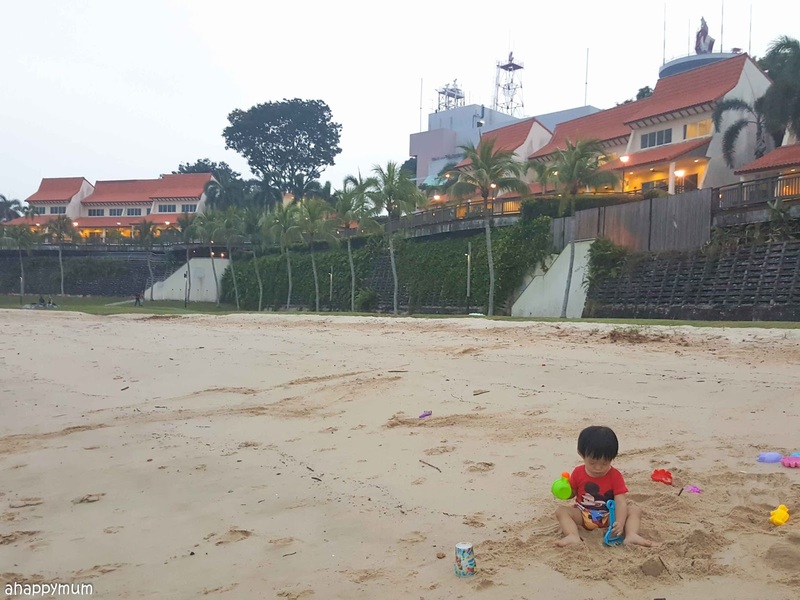 Staying at a chalet near the beach meant that we could go there almost everyday. It's been awhile since we built sandcastles, looked for sea creatures and picked seashells together and I reminded myself just how nice it was to get up close with nature and enjoy the cooling sea breeze. Yup, it was definitely worthwhile to get ourselves, baby included, all covered in sand. It was supposed to be a relaxing getaway for us but it ended up that we invited our family and friends over for not one, but two of the four nights that we were there. That meant that we had to go through two rounds of grocery shopping and preparing for steamboat and BBQ sessions, which if you must know, was pretty tiring. 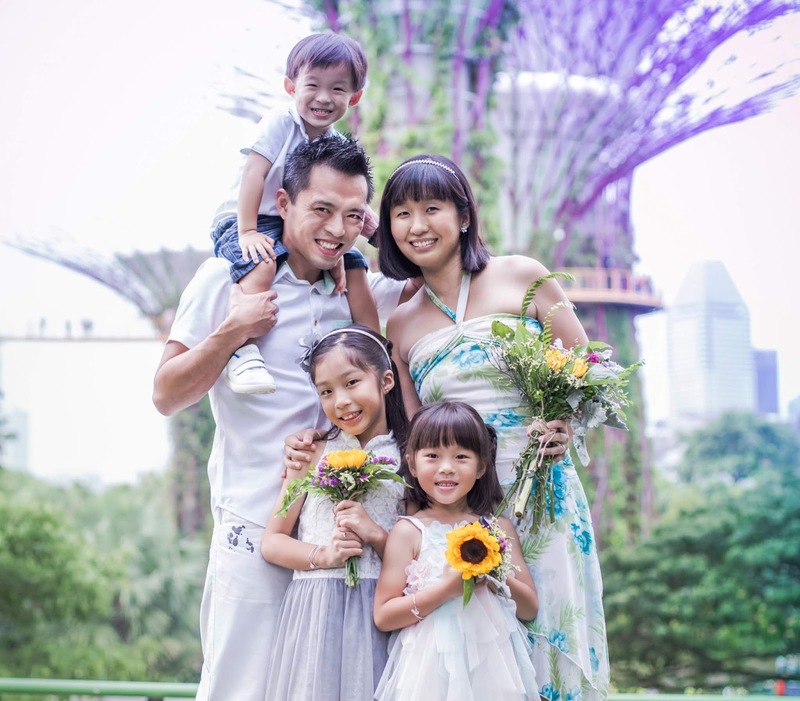 Thankfully, the hubby is very hands-on in this matter and he goes all out to get the freshest and best food for everyone, including getting live seafood from Sheng Shiong to marinate and prepare ourselves. Yummy! It was a bomb well spent! Haha. Anyway, the best thing about the chalet was that we even had our own karaoke system! It came with an impressive list of pop songs and we would sing for hours each day. Yes, we meaning the kids too. I'm not sure if it's a good thing but the girls are now familiar with songs by Taylor Swift, Justin Bieber, Pink, Katy Perry, Justin Timberlake, One Direction and I'm just glad that I have them as my karaoke kakis. I also got to sing with two of my bestest pals and gosh, it's been so long since we sang any S.H.E., A-mei or Stef Sun's songs together but we did, finally! Yay! Did I say we planned to have a 'relaxing' trip? Well, that word probably doesn't exist in my dictionary because for the only free day that we had left during the chalet retreat, I decided that we should all make our way to Pulau Ubin and explore Chek Jawa. The weather was hot and scorching but hey, better sun than rain anytime, right? So, I also somewhat suggested that we cycled all the way to Chek Jawa and back, and boy oh boy, it was exhausting! Yup, each of us had to ferry one kid and we probably couldn't make it if my father-in-law didn't come along. 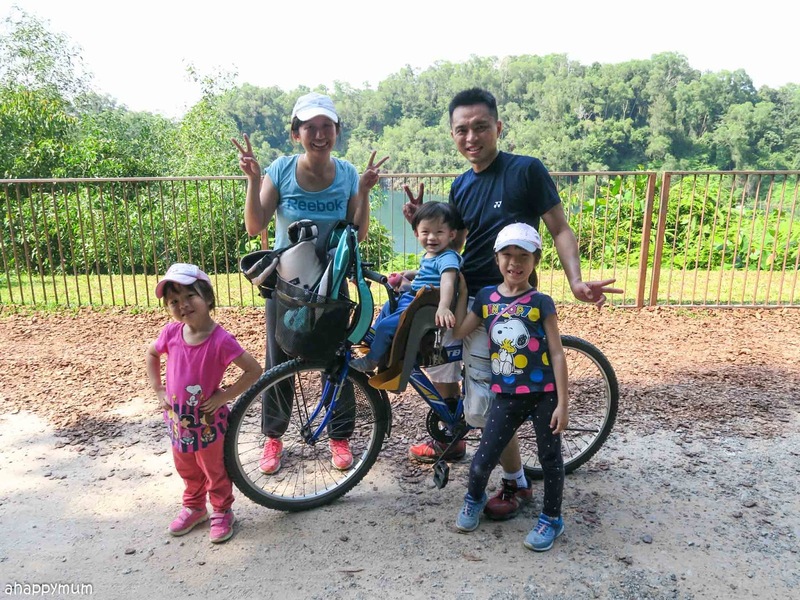 I don't know if it's a sign of old age, or lousy bikes, or that my kids are getting much heavier, this trip felt so much more tiring and challenging than the last one and I was panting so badly when trying to conquer the slopes. Well, it ended up I had to dismount and push the bicycle (with a kid on it) at least half a dozen times and those rocky paths seriously made everything much harder. But hey, we made it! Yup, a whole hot afternoon on our bikes, with kiddos and barang barang to carry, and we made it. 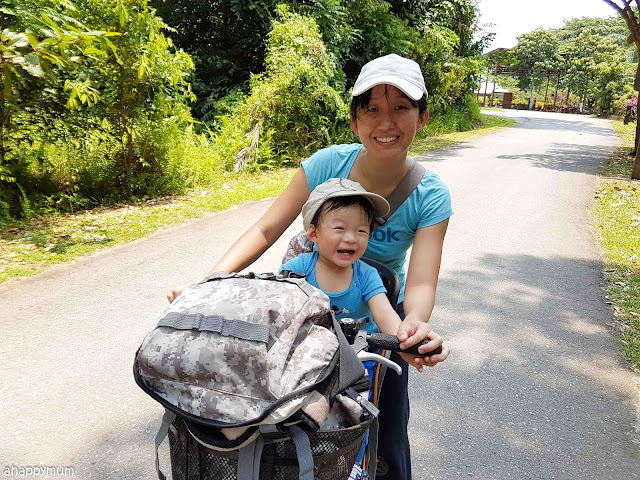 The baby was very happy at the start and he was enjoying the wind in his hair and being able to whizz along the roads. 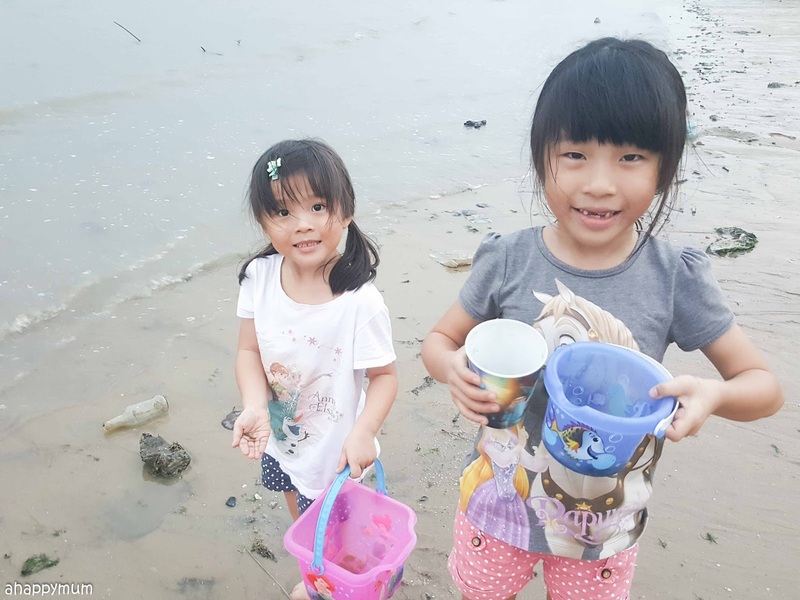 We stopped at Chek Jawa for a good one hour as we went on the boardwalk and hunted for mudskippers, crabs and spiders, which was always the highlight for the kids. The thing was he became very tired on the journey back and fell asleep halfway, making it quite impossible to let him sit on the kiddy chair without falling out as he kept tilting sideways. Thankfully we had our carrier with us and the hubby tried to carry him on the chest, piggybacked him and had to use one arm to support his head most of the time. Tough huh? Well, he survived too. 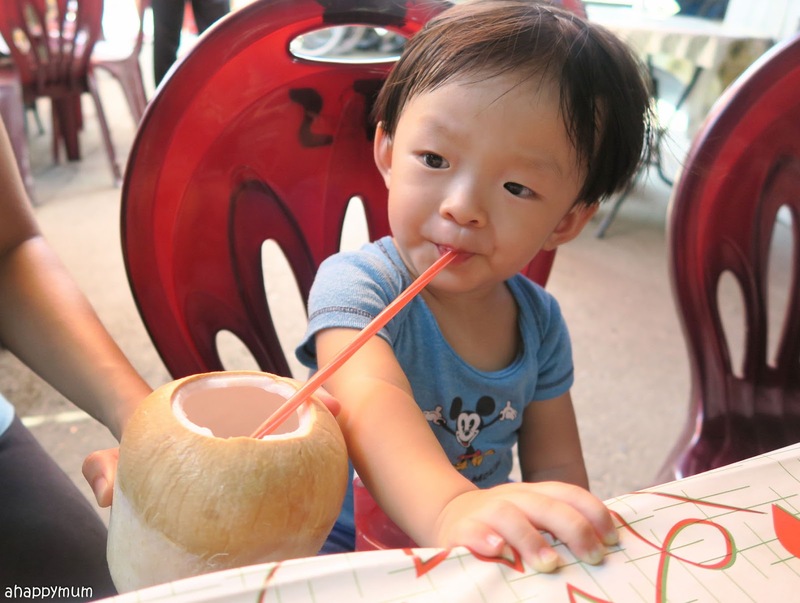 It's always a delight to indulge in the cool and refreshing coconut juice and this time was no exception too. Look, even the baby loves it! I think we all deserved it for all that hard work and actually, it did feel good to work out and sweat so much because I kind of think that I needed it. Back at home, we have settled down well and we try to make it a point to have family gatherings in our cosy dining room. Yup, the house of love hopes to spread joy to everyone who visits! 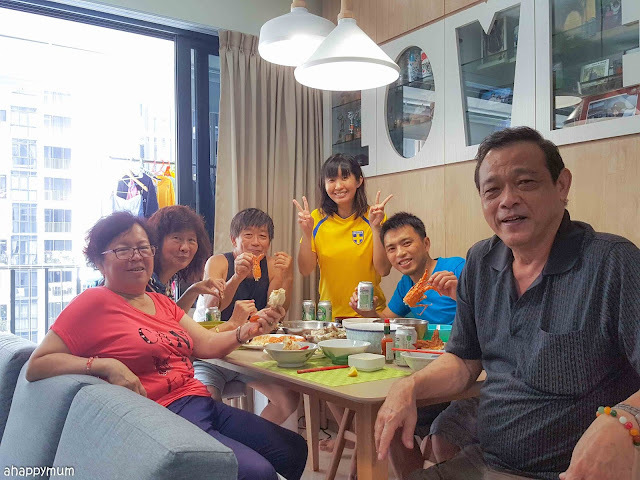 This was during a weekend when the hubby and I cooked and invited our parents to join us for a meal, for swimming and for a tennis session too. It's always nice to see how well they get along, how much they have to chat about and all the smiles on their happy faces. 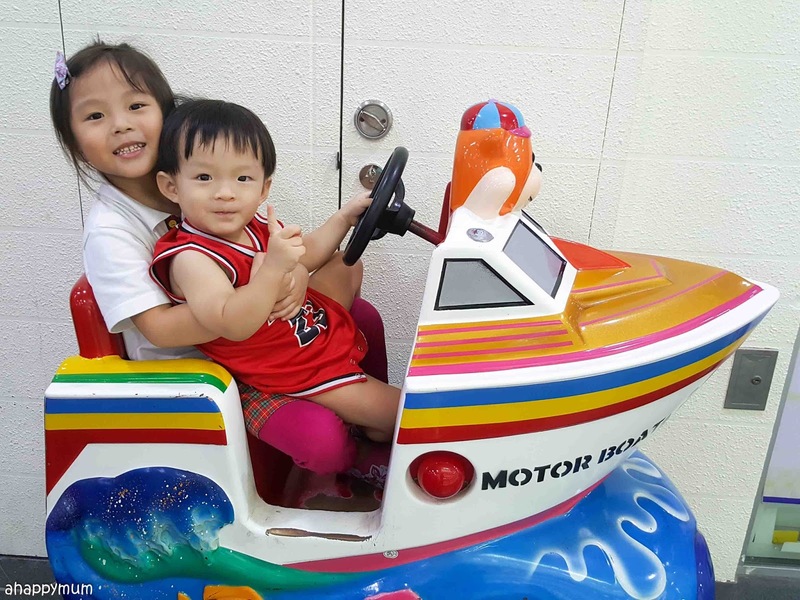 As for the kids, well, despite the bickers over toys and squabbles over who wins the race, they are getting along just fine and it warms my heart to see how much the girls dote on their little brother and protect him when we go out too. Well, he's definitely one lucky boy to have these two girls in his life! And as for us, we are very lucky to have him too because this one is a charmer who never fails to inject laughter into our everyday lives with his cute antics and cheerful demeanor. 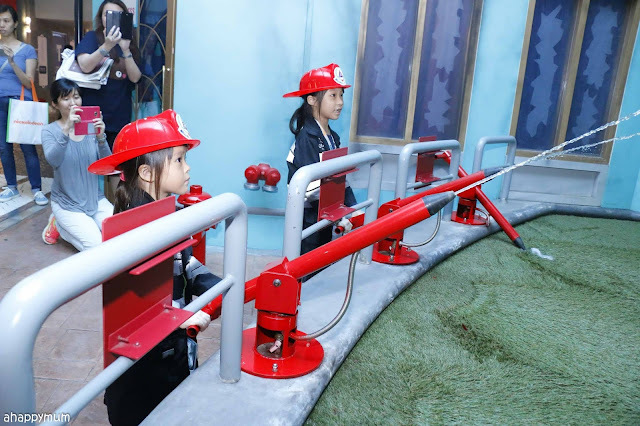 The girls were very thrilled when we made our way to Kidzania for the second time, thanks to tickets they won in a drawing contest organised by AIA. We chose to visit on a Sunday and it was an awesome decision considering that the place was sparse and we hardly had to queue up for more than 5-10 minutes for the majority of the stations. 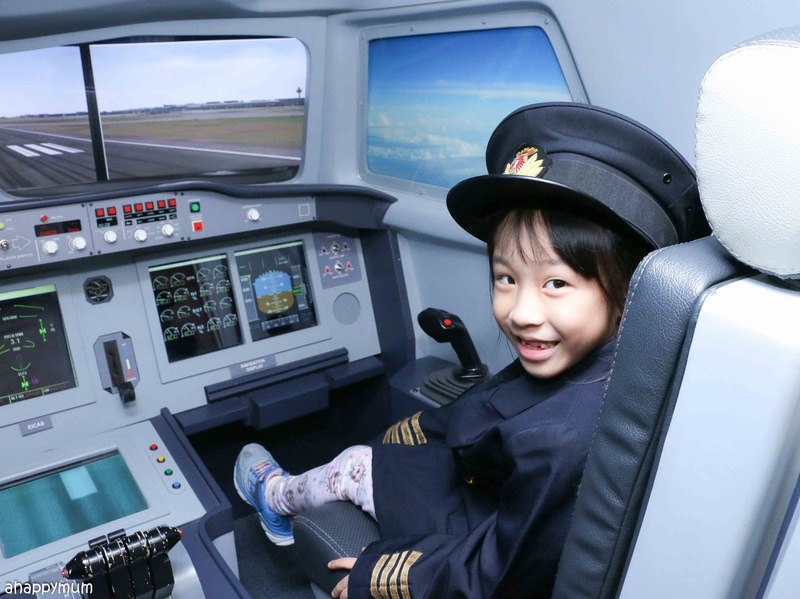 We spent a total of 8 hours there, including lunch, and completed 13 jobs, including the popular ones like firefighter, cabin crew, pilot, police, paramedics and more! That's definitely a record! 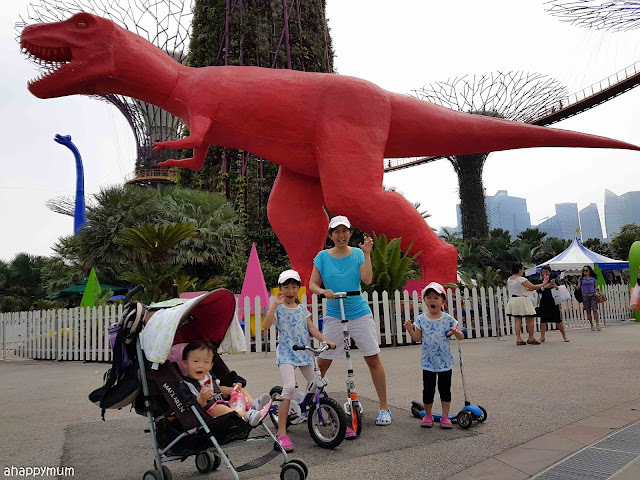 In wanting to make the most of the Children's Festival and our expiring annual membership, we made our way to Gardens by the Bay not once, but twice! 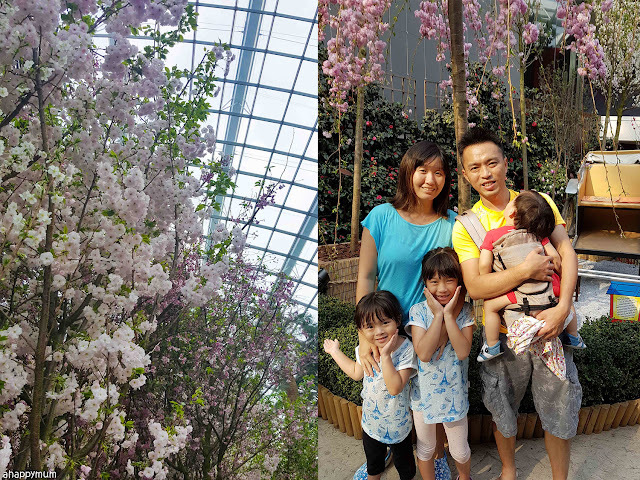 The kids were not very wowed by the cherry blossoms but they did enjoy the Dye-nosaur Gardens activities to the max. We went hunting for eggs, making dinosaurs out of pipe cleaners, did sand painting, shrinking paper key chains and more. And we even brought along our scooters and bikes too, woohoo! 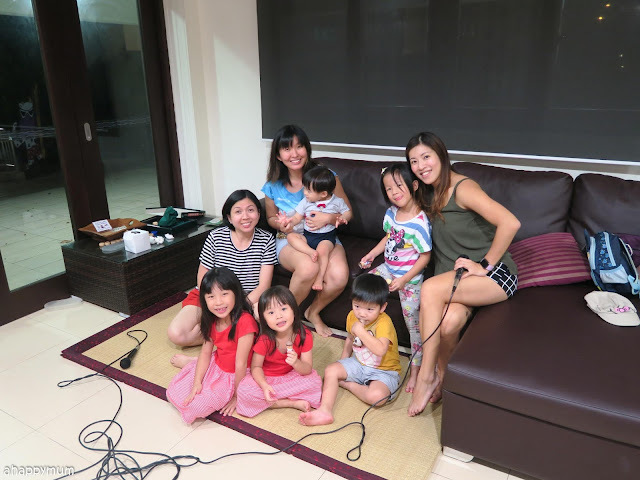 In hoping to catch up with friends, I also hosted two playdates at our home and managed to cook for them and their adorable little ones. Yup, it was really nice to reminisce about good old times and take a walk down memory lane. What made it feel even better was in knowing that we have all become mums and are learning about motherhood every single day. Well, I'm really hoping to be able to organise more gatherings in the new house and so far, I think we're doing better than expected already! 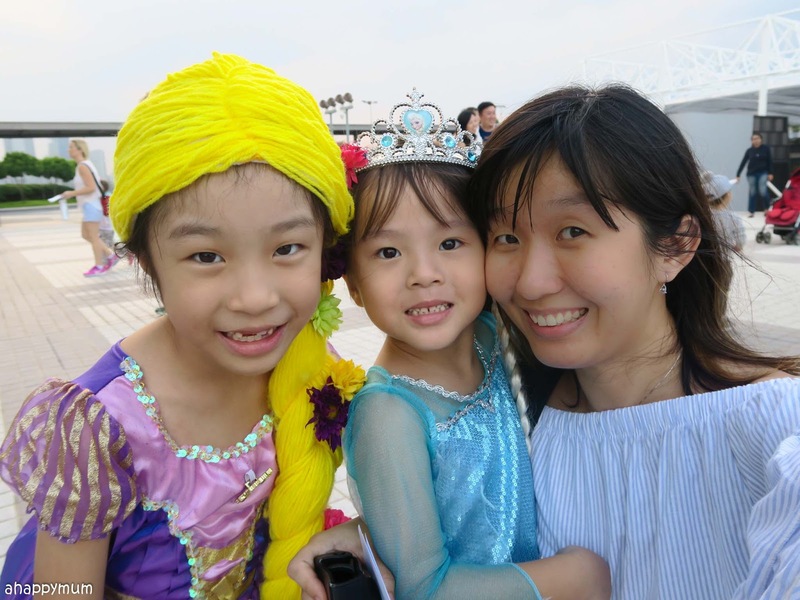 It's been a really tough month for me in trying to teach, and handle, the firstborn and truth be told, I am struggling on more days than I would like to. 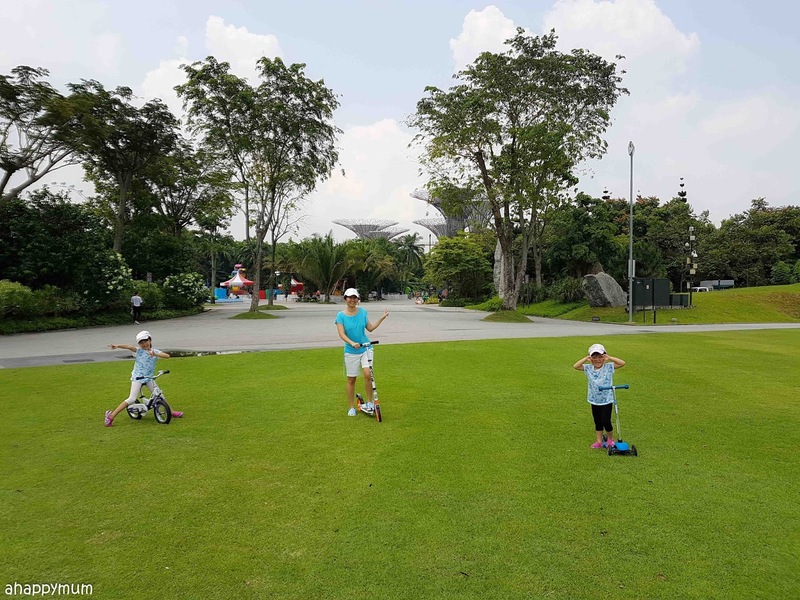 So, I reckon we needed some time off and as challenging as it was, I wanted some time off to spend with the girls. 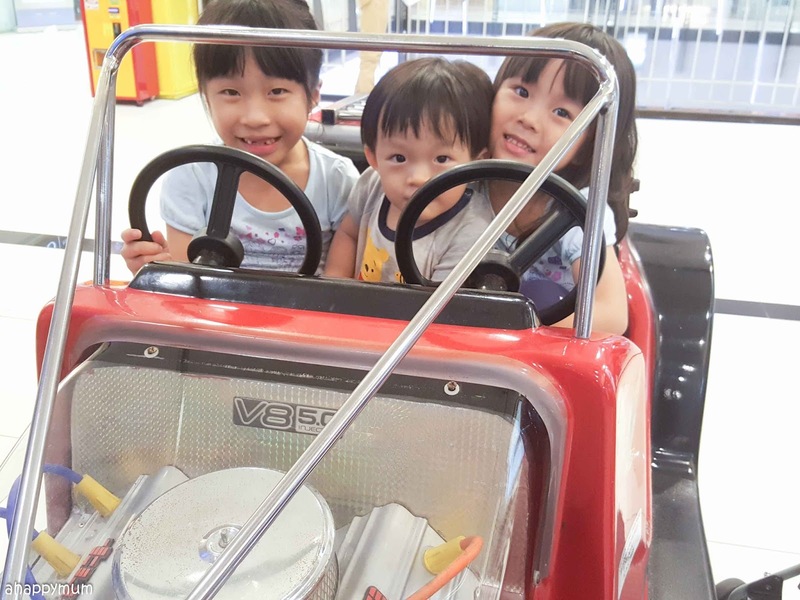 For the first time since the baby joined our family, I left him in the care of the hubby so that I could take the elder ones on a Girls' Night Out. And what did we do? 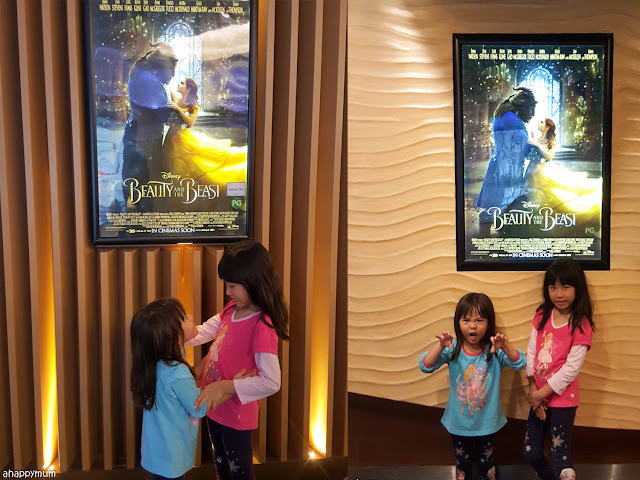 Well, it was a surprise treat for them and we watched Beauty and the Beast! 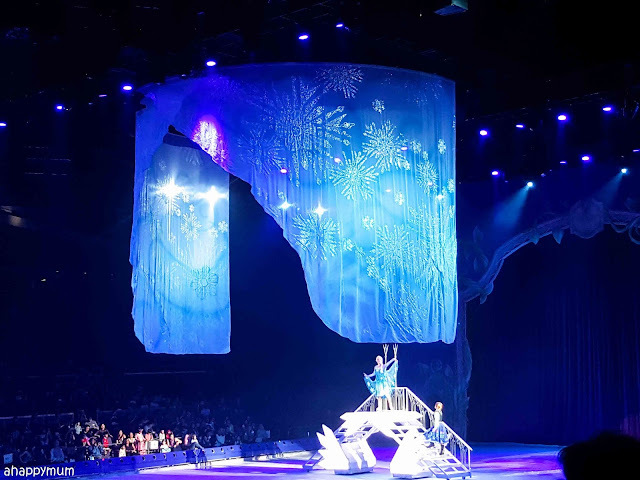 Of course, they loved and enjoyed every bit of it and I cherished the feeling of being able to hold their hands in mine without needing to carry a toddler or push a stroller. 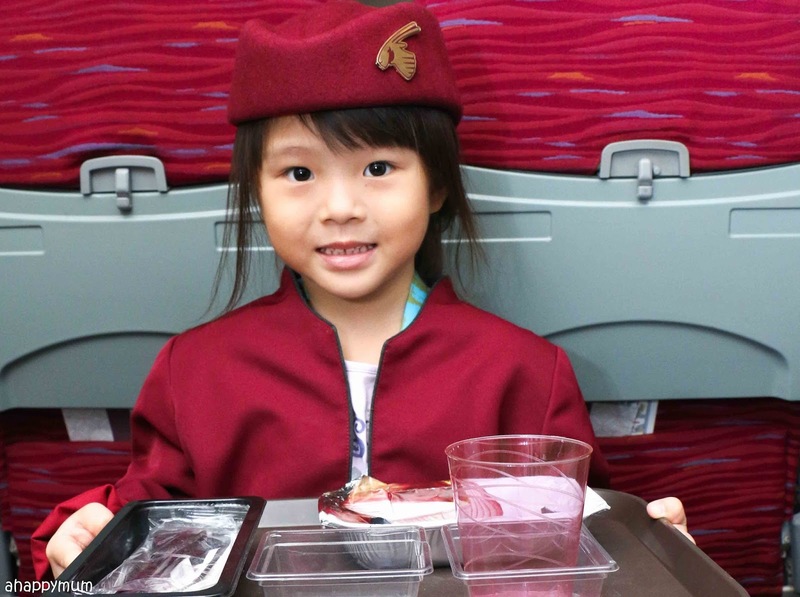 We definitely need to do this girl's bonding session again! 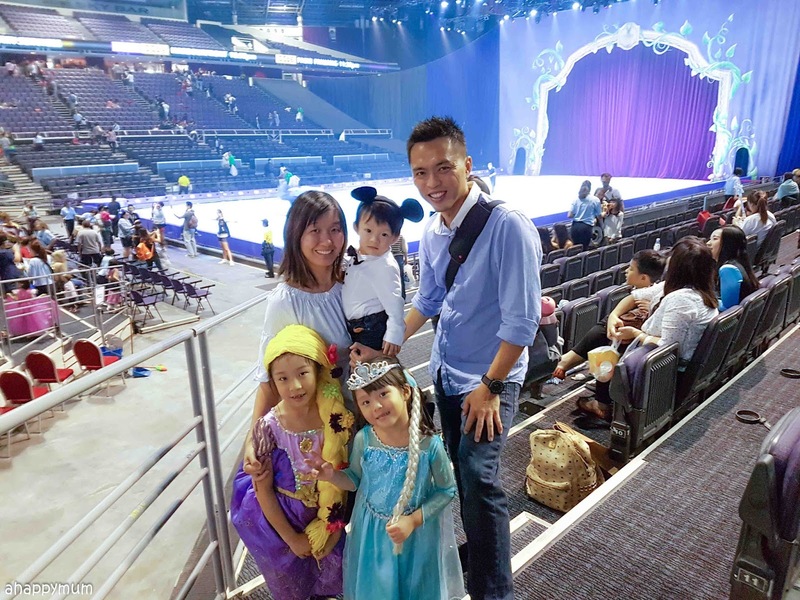 Last but not least, the biggest surprise for them this March holidays was dressing them up as Disney characters (read about how we DIY-ed a Rapunzel wig here) and bringing them to watch Disney on Ice! Well, the kids had absolutely no idea of where we were heading till we reached and all they could guess were that they were attending a birthday party, going for a wedding, having a photoshoot and so on. So, despite having to handle an extremely fidgety toddler for a good part of the show, at least the elder two truly enjoyed every moment of it and we took away some beautiful memories as a family. Yes, time really flies and we are moving into the second quarter of the year, which means I'm turning a year older, and hopefully wiser, next month. Will share more thoughts about that soon! Hi Summer, you are such an inspiration! I love your energy and look forward to your blog posts. I had a "momster" day with my two little ones but your post reminds me to find joy in the small everyday moments of motherhood, even when you're solo parenting and tired. Here's to a better day tomorrow.